TORREND, J. 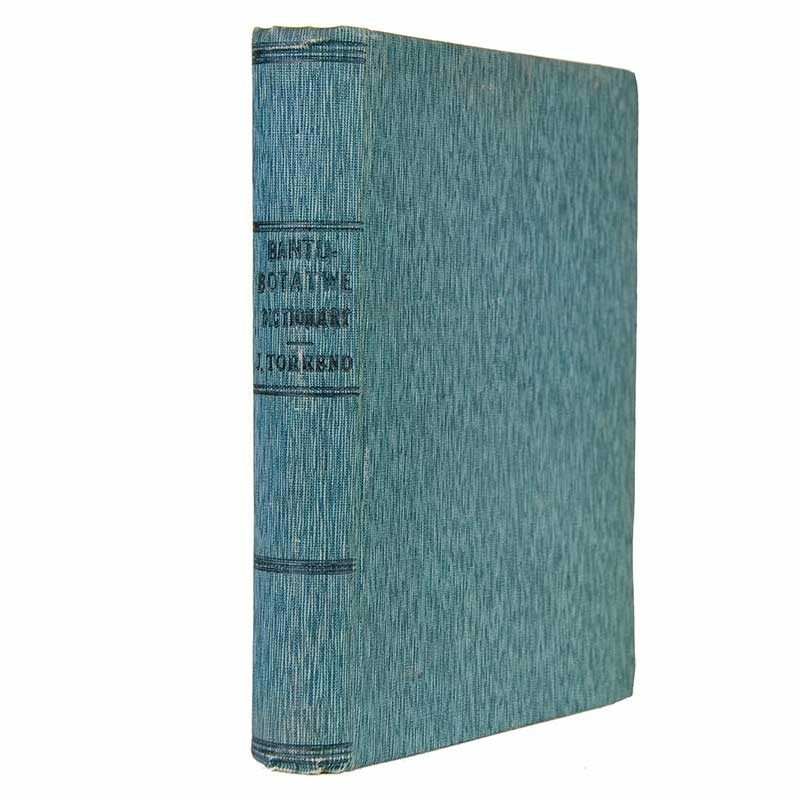 An English-vernacular dictionary of the Bantu-Botatwe dialects of Northern Rhodesia. Compiled with the help of Dr. H. S. Gerrard, the Rev. J. R. Fell, the Rev. S. D. Gray, the Rev. Fr. J. Spendel. etc. by J. Torrend, S.J. Mariannhill, Natal: Marianhill Mission Press; London: Kegan Paul, Trench, Trubner & Co.; Mission Siding, N. Rhodesia: Chikuni Bookstall, 1931 Cr.8vo. viii,,649pp. map. A very nice copy in the publisher's green cloth. TORREND, J. An English-vernacular dictionary of the Bantu-Botatwe dialects of Northern Rhodesia. Compiled with the help of Dr. H. S. Gerrard, the Rev. J. R. Fell, the Rev. S. D. Gray, the Rev. Fr. J. Spendel. etc. by J. Torrend, S.J. Mariannhill, Natal: Marianhill Mission Press; London: Kegan Paul, Trench, Trubner & Co.; Mission Siding, N. Rhodesia: Chikuni Bookstall, 1931 Cr.8vo. viii,,649pp. map. A very nice copy in the publisher’s green cloth.